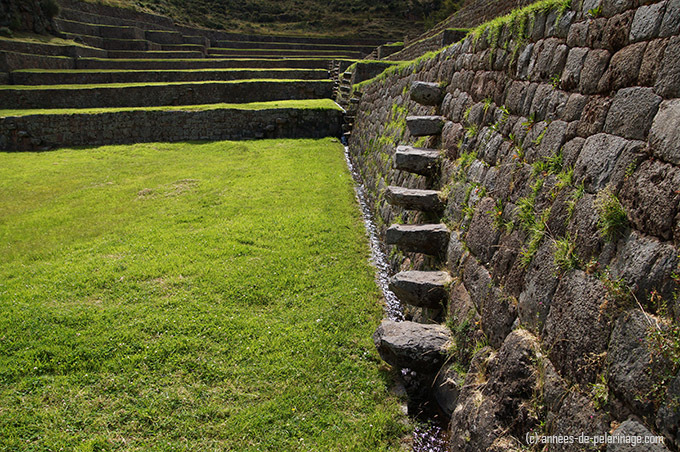 In Tipón, near Cusco, an intact ritual garden of the Incas survived. More than mere ruins, the ancient landmark offers soothing contemplation. If you are looking for paradise on earth, then look no further than Tipón (or Tipon) in Peru. Verdant terrace upon verdant terrace forms a spiritual garden tempting the gods to partake in the agricultural feast. 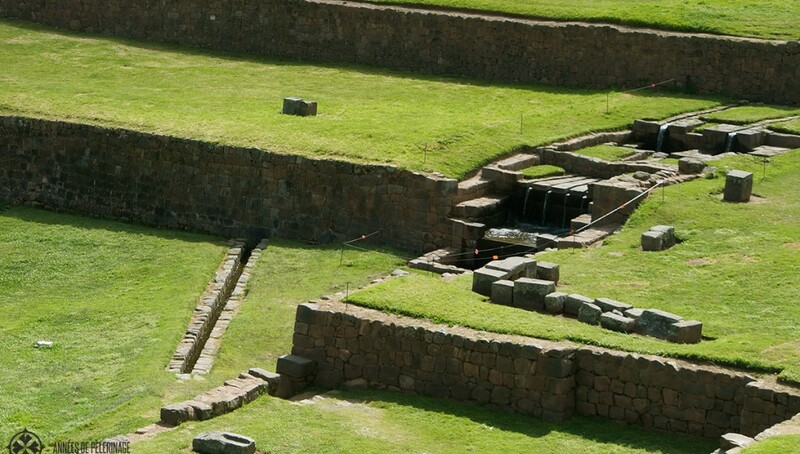 And presumably, exactly this has been the intent of the Incas, who build the ingenious system of precise terraces interconnected by gargling water channels. I also produced a little video. Hope you enjoy! Terraced and just as pretty: check out my review of the Maras Salt mines – the most beautiful place in Peru. 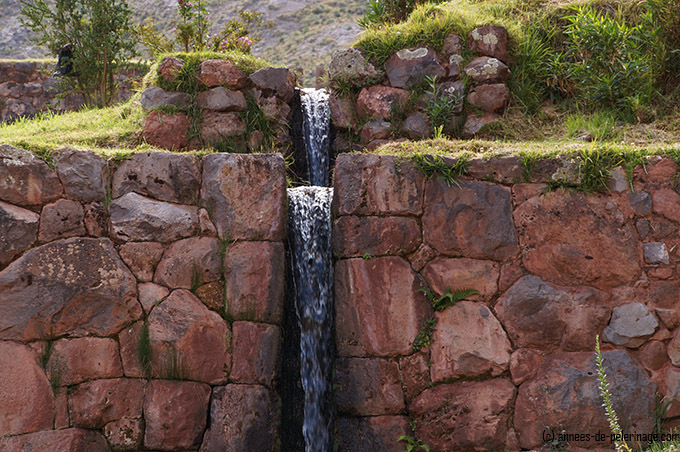 It will take you only a second to confirm once you are there: Tipon is a ritual garden, and not simply yet another Inca terrace you will see all over the Sacred Valley. The most visual proof is the layout of the terraces in Tipon themselves. 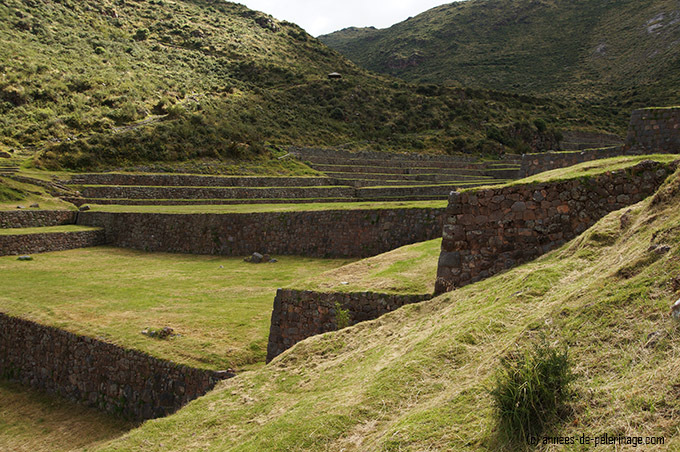 While elsewhere they follow the general shape of the land, Tipon’s Inca terraces are precise and right angled. A deliberate deviation that creates a unique spiritual aura that will captivate you at first sight. 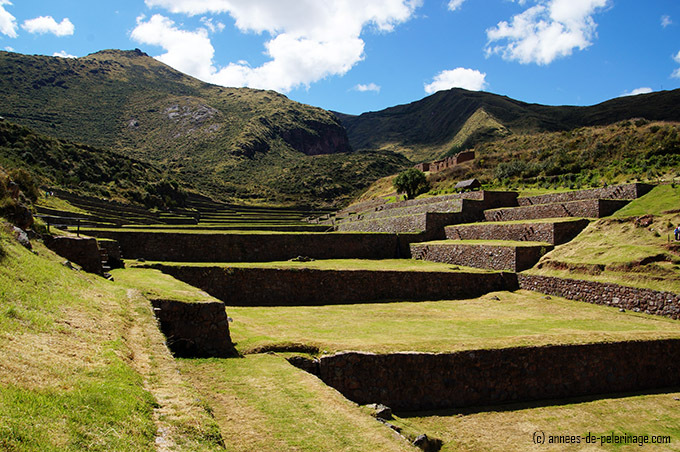 In fact, it almost seems like Tipon’s terraces were built to channel natural energy, right into the fields and crops. Every spare inch of the verdant valley is dedicated to agriculture. In fact, even the stairs connecting the various levels are built in a way that they don’t use up precious seedable space. In Tipon you will find, all in all, twelve terraces. Now since the terraces are highly artificial and ritual in their layout, it’s pretty safe to assume this number wasn’t an accident. I, for one, wouldn’t argue for any deeper mythological meaning – twelve just happens to be the number of months in the Inca calendar. Which is, of course, nevertheless a very profound statement and a testament to the kind of regard the Inca held astronomy in. And talking about mythology. 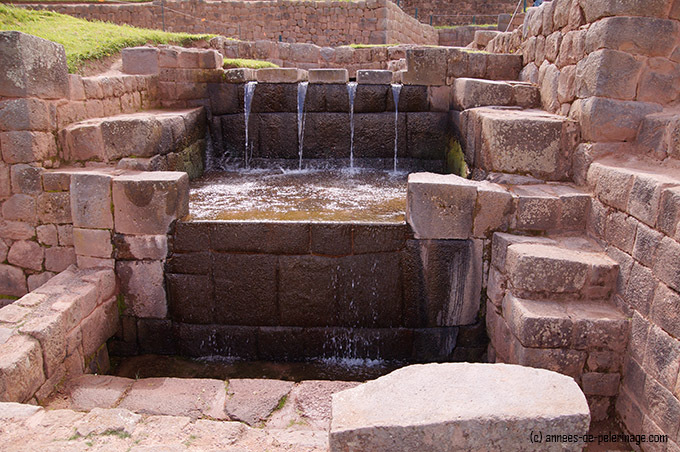 At the very top of the Tipon terraces, you will find some sort of water temple. An underground well feeds the intricate system of waterways: separating the mighty stream first in two, then in four channels and finally uniting it into one again. One can only wonder what kind of ceremonies were held here! 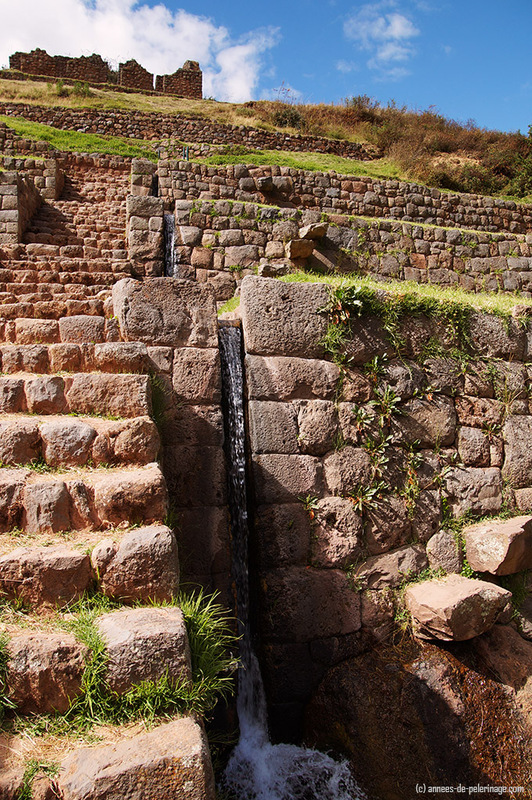 The water is then guided through an ingenious system of channels throughout the terraces. Irrigating the various levels during the dry seasons and serving as an efficient drainage system during heavy rains. Of course, archaeologist helped along a bit, but for me, it was quite impressive to see the system still working! Tipón – the royal palace of Yahuar Huaca? First of all, Tipon is indeed located close to a river (now called Watany) – with two small rivers flowing into that river to the sides of the archaeological site of Tipon. 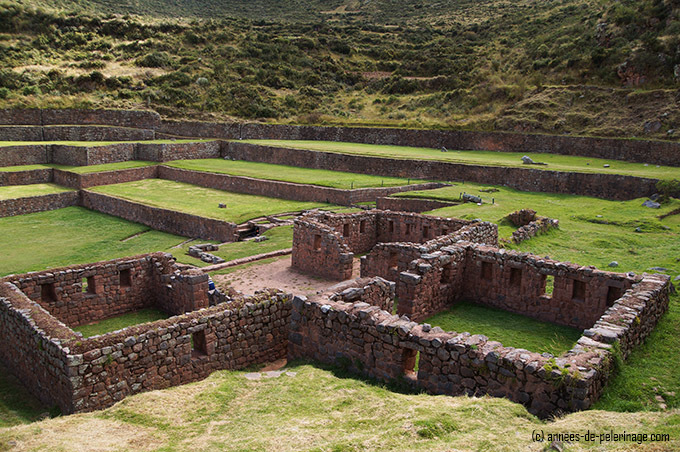 But that of course, will probably be true of almost any Inca site in the vicinity of Cusco. Of course, there are also plenty of the orchards and gardens De la Vega speaks of – but that too is more than ubiquitous in the Sacred Valley and certainly no unique attribute of Tipon. Arguably the terraces of Tipon are the most beautiful of them all. More importantly, however, Tipon does not only consist of the impressive terraces. 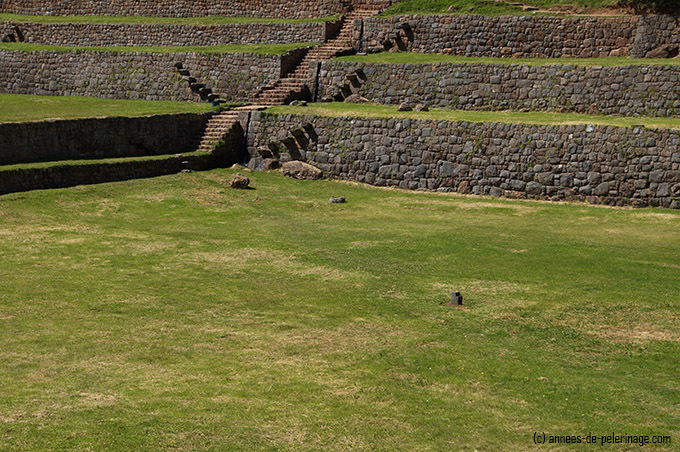 Right, next to the verdant terraces you will find a large structure that could have served as a palace. The expertly cut stones at least hint that a person of great power must have resided here. Possibly the ruins of the palace of Yahuar Huaca. Last but not least Tipon also features the remains of some military structures. Yahuar Huaca, after all, had been defeated by the Chancas and must have retreated somewhere, after Cusco had fallen. His son Huracocha might then have decided, after his initial victory over the Chancas, to bequeath the fortress of Tipon to his father and let it be built into a proper royal mansion befitting his rank – at least this is how famous Peruvian archaeologist Victor Angles Vargas argues. Also, De la Vega writes, that while Yahuar Huaca lost the title, his son made sure that he did not lack any amnesties (and in fact accouterments) as befitted the Inca. Now the king was not only the military leader of the Imperium but also the spiritual leader. And there is no denying that Tipon was a place of worship! Of course, there is no way around noticing the ritual fountain right at the top of Tipon’s terraces. 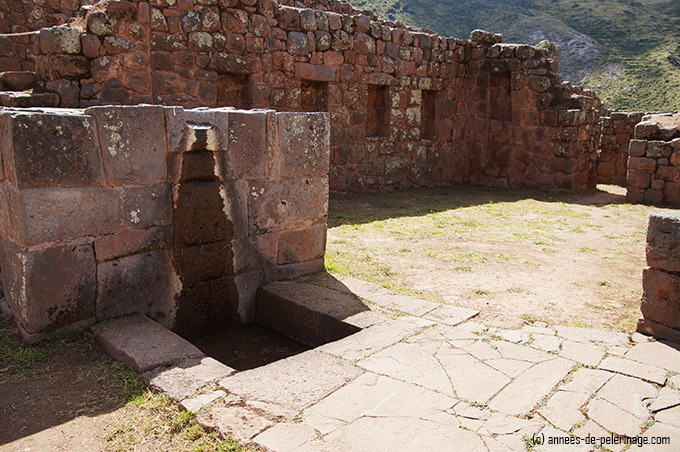 Similar fountains can be found at water temples throughout the Inca empire. 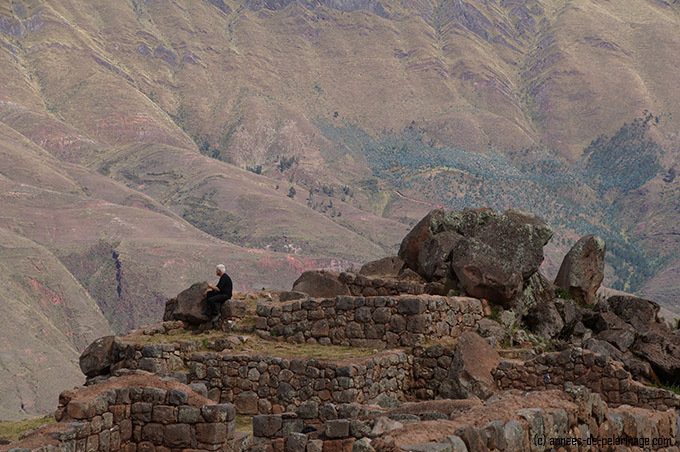 If you like to see one of them, I do recommend you to check out Ollantaytambo (read my guide here). But it goes deeper than that: For example, right in the middle of the biggest terrace, you will find a marking stone – certainly no accident! Services to the gods presided over by Yahuar Huaca? Possibly, though we shall probably never know for sure! After so much speculation you are probably craving for some facts. I already mentioned the remnants of a royal palace. 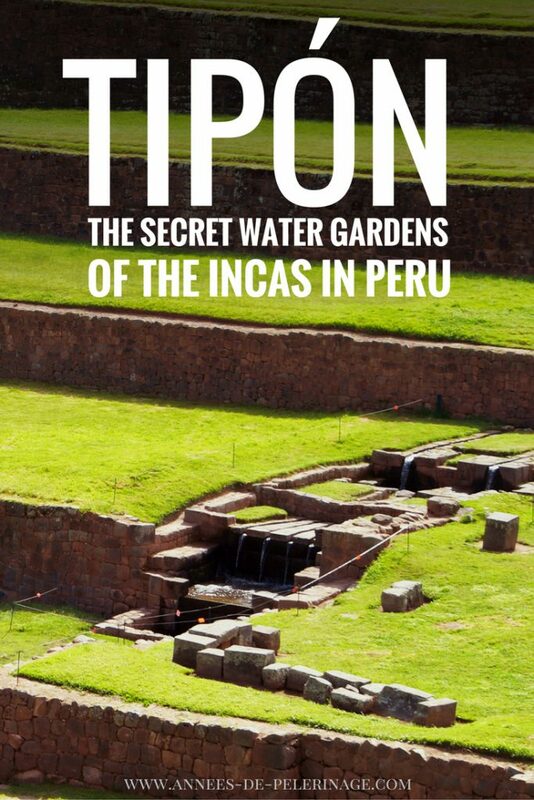 If you take a tour through Tipon (I hope I could already convince to do so! ), then make sure to walk up the hill above it as well. Looking down the valley, you will notice a little path trailing up the hillside on your left. From here you will be able to get a good bird’s eye view of Tipon. But if you follow that trail to its end, you get the chance to inspect another huge structure abutting a hill, with yet another water temple. Some sources call this the Intiwatana, but I somewhat harbor doubts. 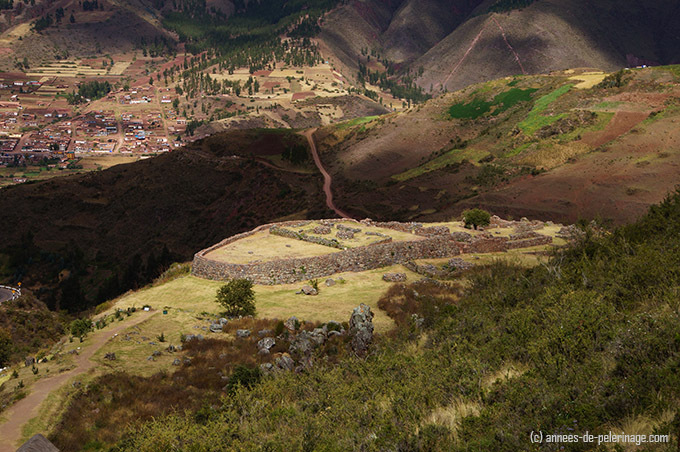 Intiwatana translates from Quechua into “carved stone”, a stone which the Inca used to measure time. Machu Picchu is famous for its still intact Intiwatana (sometimes also written as Intihuatana; the Spaniards destroyed most of the rest). Typically that special stone was carved from natural rock in a very exposed place, much like a sun clock. The way the sun cast its shadow and was aligned on different auspicious dates (like equinox, etc. 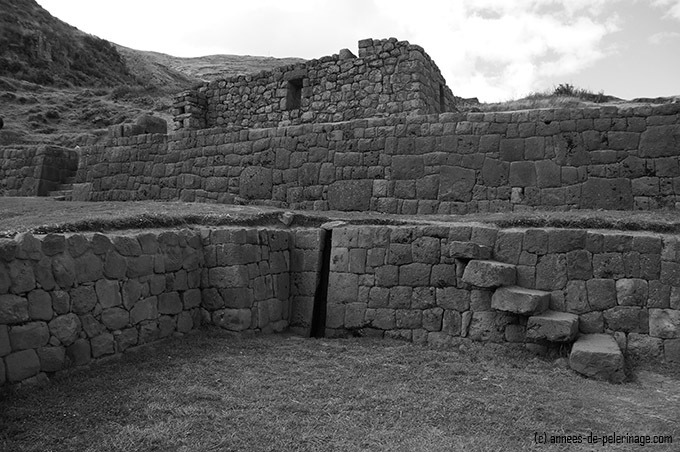 ), helped the Inca determine time itself (find more on the subject of Intiwatana here). Personally, I could find no visual remains of an Intiwatana in the vicinity of the temple – other than an exposed, fortified hill that possibly could have served in such a function before its obvious destruction. Of course, that shouldn’t discourage you. 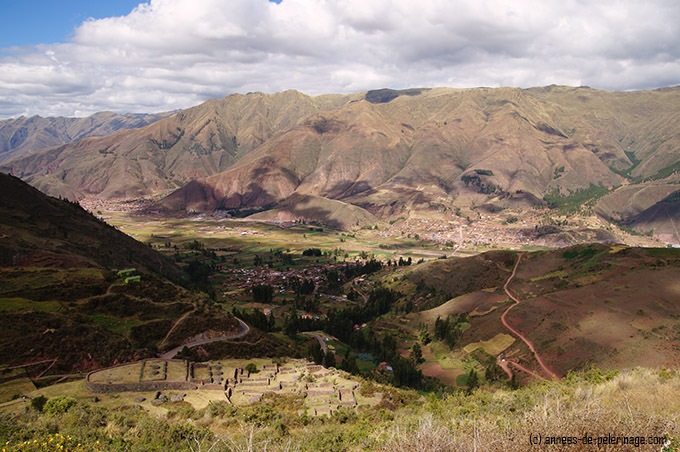 Besides the stunning view on the sacred valley (I did mention that before, right? :P) the palace is quite lovely as well. And like I already pointed out – just visiting the terraces below will leave you with the feeling that Tipon actually was just that: neat terraces. But lo! There is still more! If you are very perceptive, you might have wondered where the water fountain around the Intiwatana actually got its water from. After all the structure stands on a very exposed hill – not exactly a typical place for a natural spring. And indeed there is nothing natural to this wellspring. 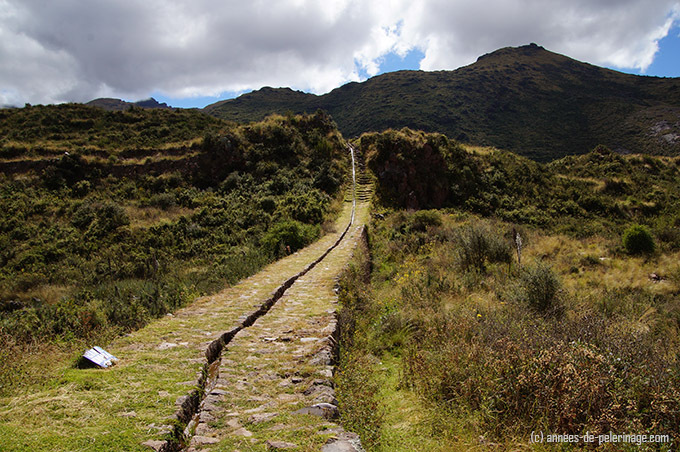 If the extreme height doesn’t bother you, and I hope it doesn’t, you can follow yet another highlight further upwards: The Inca Channel. The fountain is actually fed from a spring roughly a mile further uphill. 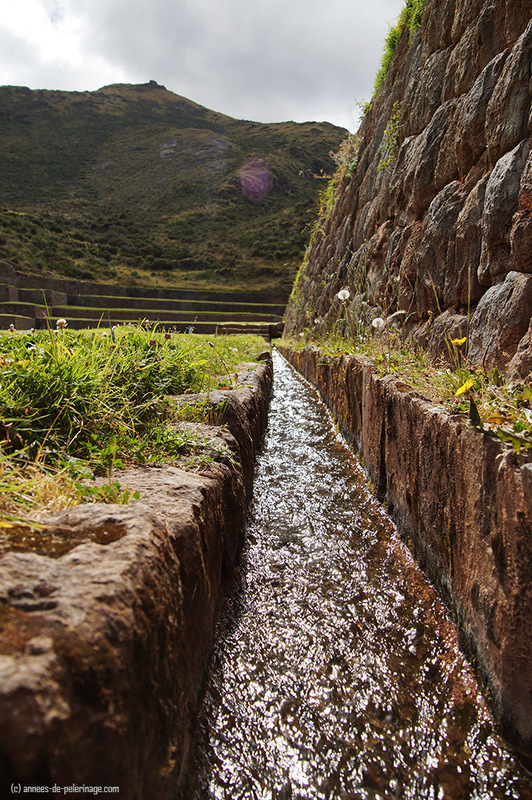 It is this very Inca channel that provides the water. 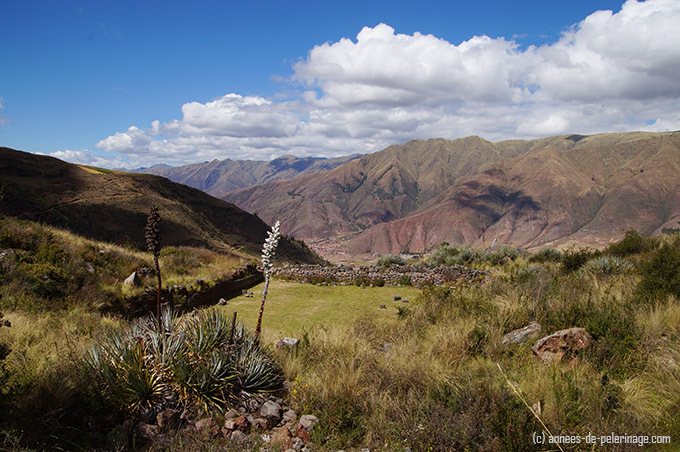 I really urge you to follow the Inca Channel of Tipon to its ends – it’s just such a beautiful thing to behold, nestled into the rugged landscape as it is. Know then, that the Inca channel isn’t properly working anymore. These days only a trickle makes it down to the temple. Enough to glisten, but certainly far from the gargling cornucopia it once must have been. From here there is only one way, and it leads downwards. The view from here is yet again quite rewarding. Especially note the fortress-like structure on the right side. Little of its ancient grandeur remains, but that what survived will inspire your thoughts. 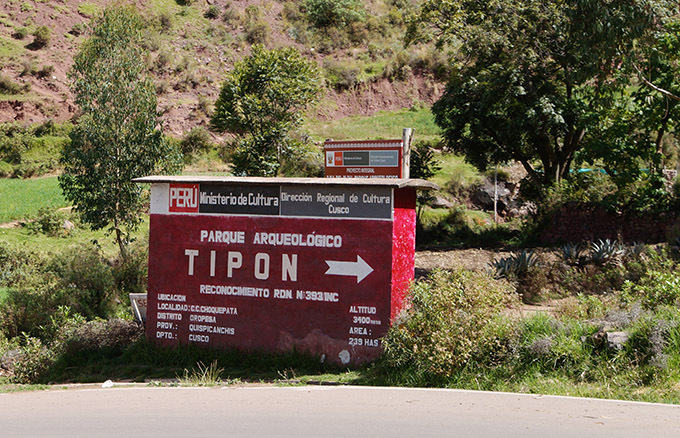 Your best deal for visiting Tipon will be the boleto turistico (general ticket). 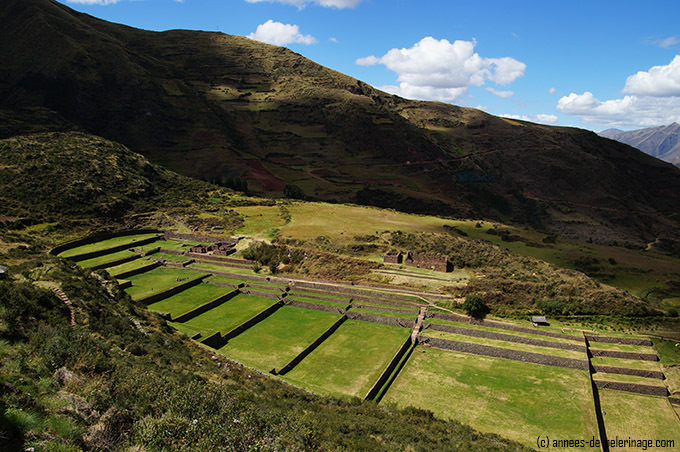 The ticket price of 130 soles for an adult might sound steep, but it will give you access to quite a lot of the top destinations in the whole Sacred Valley of the Incas (excluding Machu Picchu). 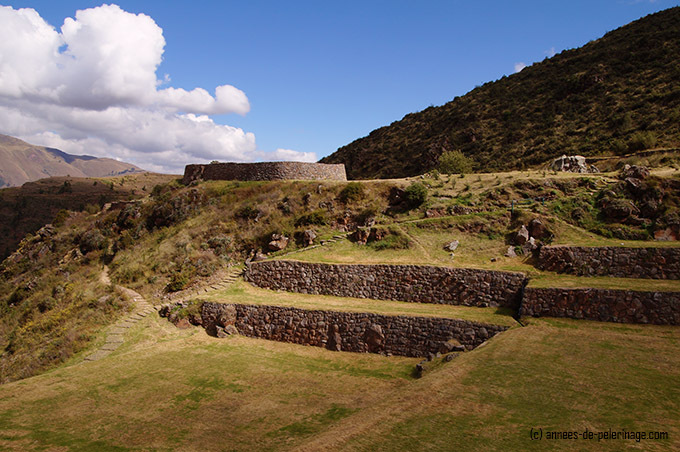 Most of the sites included in the boleto turistco (like Ollantaytambo or Pisca) will quote a single price of 70 soles – so getting the boleto turistico already pays off after your second visit. 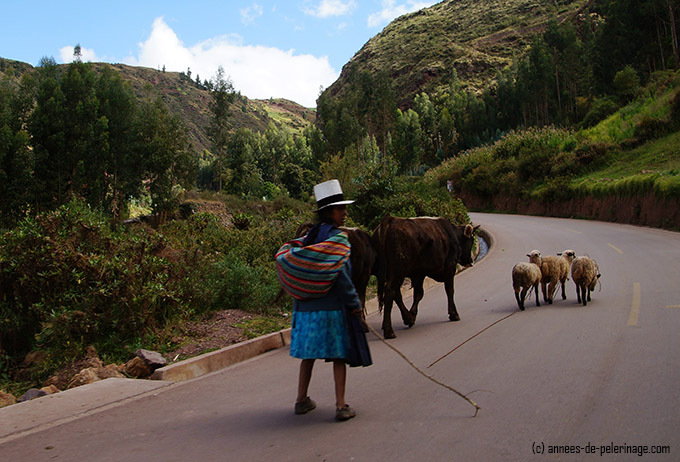 The town of Tipon lies some 22 kilometers outside from Cusco. 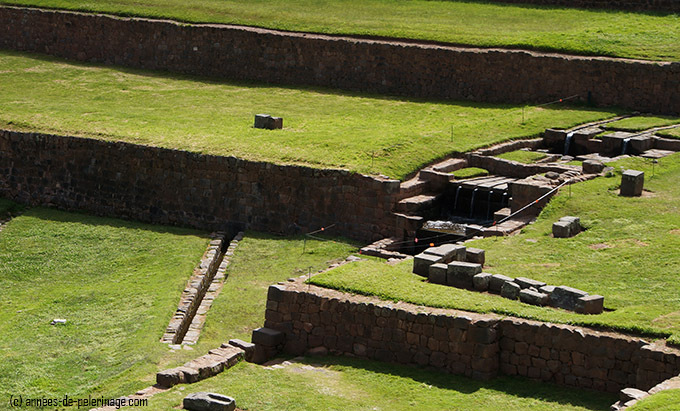 Around the main square of Cusco, you will find tons of travel agencies offering cheap excursions to basically any site worth noting in the area of Cusco and beyond. If you really need a guide, then this will be your option, even though Tipon will not be the main focal point for any of them (yet). Other than that you can take the Bus (Av. De La Cultura 1320, Cusco to Urcos) and get out in the town of Tipon. On your way back you could grab a taxi, bus or collectivo from the main road – your chances of finding a taxi waiting for you at the ruins will be very, very slim. Either way, you will have to calculate in a walk of maybe one hour from the town of Tipon to the ruins and one more hour to walk back. You got to decide yourself if that is worth saving a few soles or not. 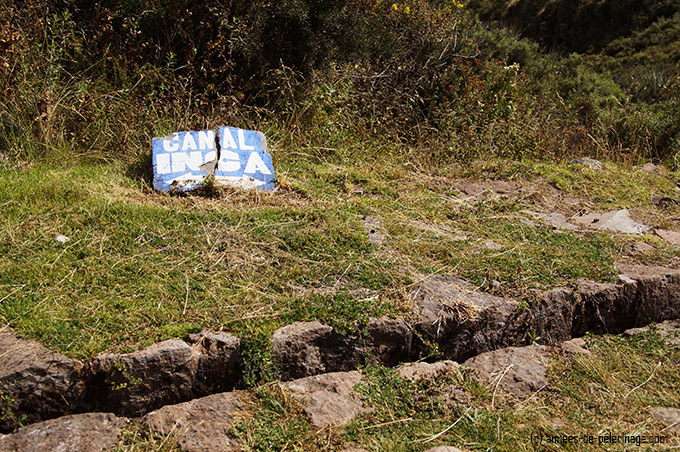 Hiking up the asphalt road will be not especially noteworthy so treat yourself to the luxury of renting a taxi. If you want to go on a true hike, rather save your energy for climbing Wayna Picchu (follow the link to read about my experience). I hope you liked my review of Tipon, Cusco. 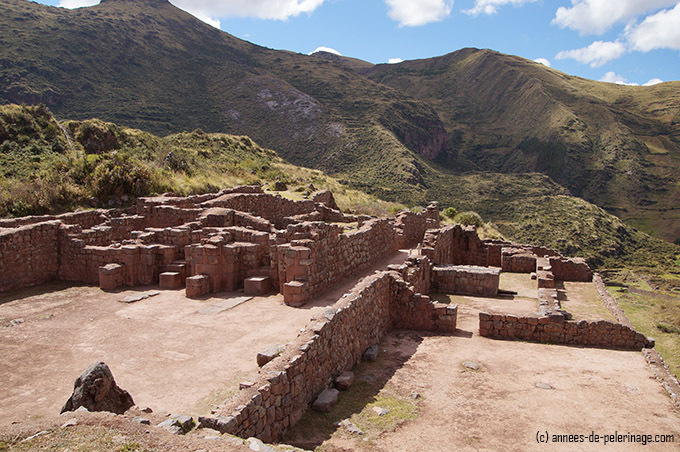 Would you make room for visiting this unique Inca ruin on your way to Machu Picchu? Tell me in the comment section below! 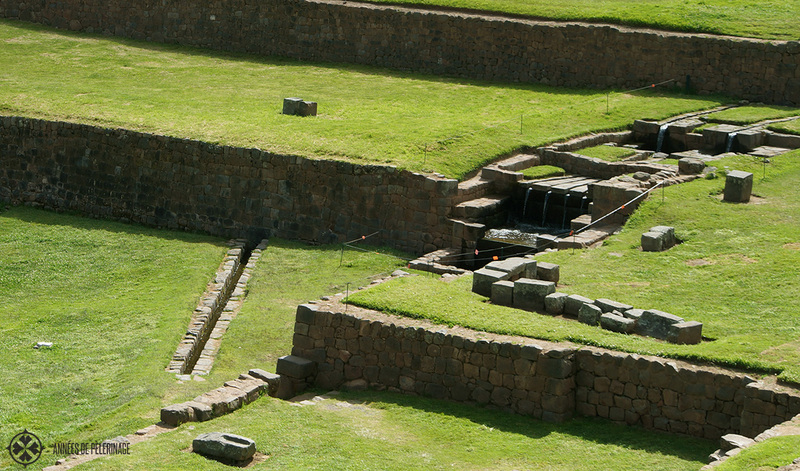 Well Machu Picchu is great as well :P That being said – there are so many inca ruins that are still off the grid. Peru, as a whole, has such a vast history and i’d think maybe 40% are accounted for and of those only half of them are really accessible via mainstream tourist agencies. quite the pity. Thanks man! This is helping me on a history project! “I also produced a little video. Hope you enjoy!” Am I missing something? Where is the video? I dunno, my website keeps on kicking the embedding code of these videos. It’s there once more. Thank you for notifying me!! Just a little comment. I’m Peruvian and I know Viracocha wasn’t the prince who defeated the chancas, but his son Pachacutec, who also is believed to have built Machu Picchu. Yahuar Huaca was Pachacutec’s grandfather. So, asuming Tipon was a royal palace, it was definitely Viracochas’ residence.